One thing I love about helping destinations find their audience is that there is something real behind each and every locale. Real stories. Real history. Real lives. Real people. When I think about connecting localities to people looking for the perfect vacation or the best meeting location (or both) I find there is a lot to say. Locations have inherent brands; I think this gives destination marketing a leg up on other traditional marketing efforts. When I discuss brand strategy with our destination marketing-focused clients, one of the first things I try to do for my clients is to help them understand what brands really are. It is true that the name, perfectly crafted logo and tag line, the products and locales are all essential parts of a brand (this is what I like to call the "external brand") but there is a lot more to branding and you generally won&apos;t read about it in the journals. What most brand managers tend to think of as their "brand" is only the tip of the proverbial iceberg. What I call the external brand is the part you see above the water. Think of your brand as a person; the external brand is your tweed jacket, the way you eclectically un-style your hair, the perfect close-lipped smile, and the conspicuously missing "green" sticker on your American made hybrid. Your external brand is what gets you invited to the party but it is who you really are—the deep conversations, your history and the ways you have progressed, the challenges you have overcome, your vision and potential—that makes me want to hang with you next week and the week after. This is your internal brand. Your internal brand is the brand with which I will form a lasting relationship. This is true for products, companies, and we destination marketers know, for towns, cities, locations…Your internal brand makes me come back next year and the year after. I will not visit an external brand twice but I will look forward to my next travel to an internal brand where the community values resonate with my own. The internal brand, your real brand, is why I choose to hold my meeting in your town, it&apos;s why I bring my children to see the fall colors and to taste the history of your great city. And, a few years later, it&apos;s why when I am looking for a location for my business expansion your destination makes the short list. Intrinsically you know all of this, but are you making sure that when you craft the message for your potential visitors that you are not only showing them the surface? Here is an opportunity for a whole layer of content that brings social meaning and can drive quality traffic to your site. Give your visitors something that will make them stay. Take the time to create the kind of content that can take on a web-life of its own. I am certain that close by there is an untold story that merits telling. Tell me that story and I will have a much stronger bond with your destination&apos;s brand. 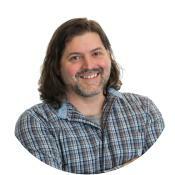 Daniel Westcott is a Search Engine Marketing Developer for Simpleview. For questions regarding this post, visit our "What We Do&apos; page to learn more about our SEM services.